Ashampoo Blog - Rechargeable batteries, a great mystery ? Rechargeable batteries, a great mystery ? We're more or less all familiar with rechargeable batteries (because we use them) yet there are still many mysteries surrounding them. Add to that reports of houses that burned down because of smartphones or e-bikes that spontaneously burst into flames and you may start to feel a little uneasy about this technology. What kind of witchcraft is it that powers so many of our devices? 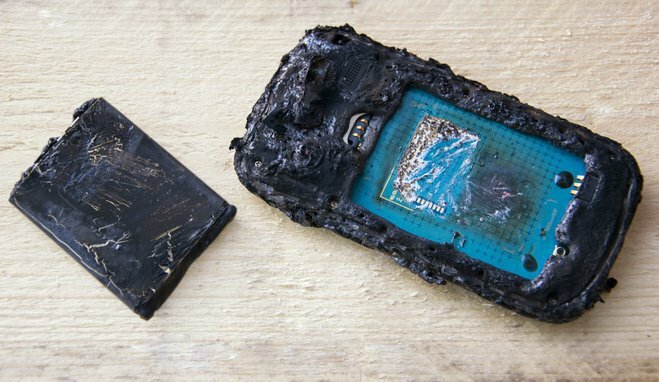 Why do some of these batteries suddenly burst into flames and how can we prolong their lifespans? During the initial stages of product development, companies usually face a big technical hurdle, especially with smartphones: they're supposed to be ultra light and ultra thin yet immensely powerful. Devices that stray from this mantra are quickly discarded as old-fashioned, inelegant and clunky. Samsungs's Galaxy Note 7 was certainly an elegant product with a thickness of 7.9 mm and a weight of 169 g. As always, one of the development goals was to create a powerful device with a huge screen and long-lasting battery life. Today, almost all mobile devices come with rechargeable Lithium-ion (Li-on) batteries. No other technology currently stores as much energy and offers as many recharging cycles in such a very compact, space-saving housing. Unfortunately, Lithium(-oxide) is also highly reactive, inflammable and toxic. It takes immense precision to create batteries with high energy density with each cell containing as many thin and densely packed layers of this substance as possible. There's always a risk of fire or explosions caused by production errors as well as overheating, damaged or contaminated materials. Samsung's Galaxy Note 7 was the most prominent problem child but definitely not the only one. 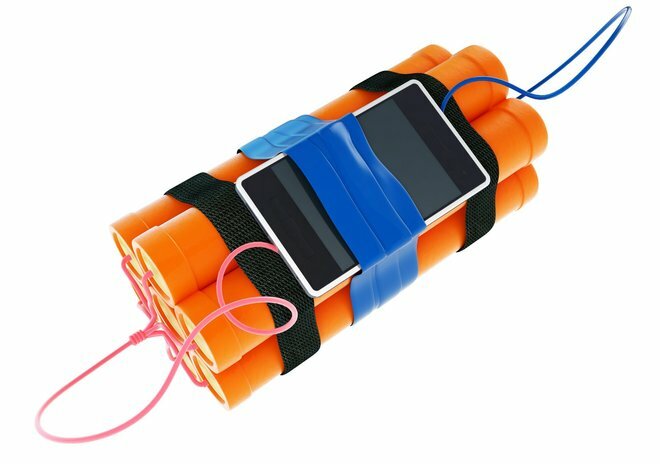 Roughly 0.1% of all Note 7 devices were affected and this posed an unacceptable risk in view of 2.5 million sold devices. Still, other devices also have a tendency to burst into flames, just less frequently. This is obviously not a new issue nor does it only affect Samsung devices even though the media made it appear that way. 10 years ago, there were already cases of Sony laptops happily smoldering away with 8 million devices being recalled and refitted with new batteries. Current iPhone models occasionally also make for a nice bonfire but not often enough to make the headlines or trigger a product recall. Do you own e-bikes, e-cigarettes, notebooks or the latest toys? If so, you're already surrounded by Li-on batteries that may exhibit similar unfavorable behavior. In the case of faulty design as exhibited by the Note 7, nothing, it's that simple. But there are ways to take better care of your batteries. Avoid extreme temperatures, neither searing heat nor freezing cold will benefit your devices. Don't leave your e-bike in your unheated garage in the deepest winter or the next recharging cycle may be the last due to deep discharging. Likewise, leaving your smartphone in the car in the heat of the summer is a bad idea. Moisture, as you might have guessed, is also detrimental to your device because of the risk of shorted circuits. As for chargers, you may simply want to go with the manufacturers' recommendations to avoid overcharging which poses a severe health hazard. Don't use accidentally dropped batteries as their internal structure may have become compromised (especially with hard surfaces like concrete floors). This can also be caused by too much pressure, e.g. with devices you keep in the pockets of your pants, as demonstrated in many scary online videos. Battery-powered devices that are continuously connected to a power supply (like many laptop computers) should regularly be run on batteries alone, companies like Apple also recommend sporadic discharging to keep batteries healthy. Modern rechargeable batteries should easily handle between 700 and 1000 charge cycles before their performance degrades. Compared to earlier designs, today's models have significantly longer lifespans and it is not normal for these batteries to break down after just a couple of charges, even though some sales personnel may try to convince you otherwise. Partially charged batteries can be used right away, you don't have to fully charge them first. Fast chargers are a subject of debate as they may lead to reduced lifespans. Whether this effect is noticeable during normal use is another story. Most chargers already feature smart sensors and only provide as much power as each battery can handle. Once your batteries are charged, unplug them. This prevents continuous charging / discharging at maximum power levels, reduces wear and tear and saves energy. As it is next to impossible to put out fires caused by burning electronic devices, you should simply place them in a container, e.g. a pot, and take them outside - the fumes are toxic after all. Many current tips are rooted in beliefs that stem from outdated battery technologies and are no longer valid. Unlike older Nickel-metal hydride batteries, Li-on batteries cannot be "trained". 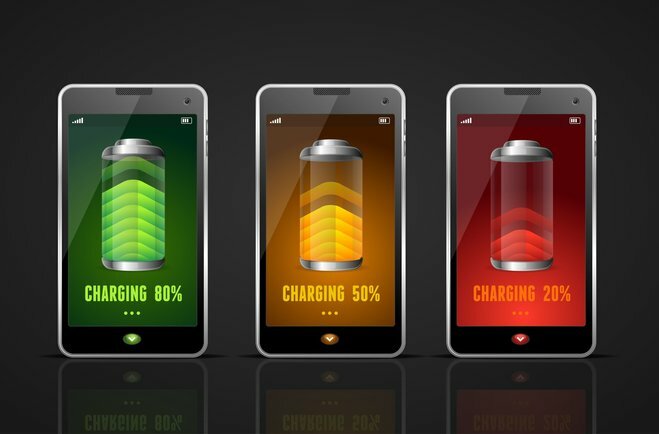 While it is true that devices may report seemingly better figures for their batteries once they've been recharged a couple of times, this is due to more accurate calibration, not enhanced performance. You should avoid complete discharges (a hot tip back in the days) since they will lead to reduced storage capacities and lifespans. Most devices shut down automatically before this point is reached anyway, so, if you find that your smartphone has completely powered down by itself, don't be alarmed, it'll come back on eventually. Modern smartphones have pushed Li-on technology to its limits. When products become more dangerous because of shorter development cycles, superficial testing and obsessions with super-thin designs, we need a change in thinking! As customers, we also bear a responsibility: will a few more grams really ruin your back during lifting? Do a few more millimeters render devices instantly bulky? Manufacturers will have to decide whether they'll continue to follow every new trend even if it makes their products more hazardous. Are tightly screwed or glued in batteries really necessary? Shouldn't parts that are potentially dangerous and wear out over time be accessible and replaceable? I for one follow the development of this technology very closely and with great interest. Li-on batteries are far from being the ultimate in portable power solutions, there's a pressing need for further research and better products. Dear tech zealots, chemists, physicists and masters of engineering, I've written this text to the best of my abilities. This text doesn't target specialists so go easy on me. Whenever I encountered various or divergent facts and tips, I either went with the mainstream view or picked those that seemed most plausible to me.